World of Warcraft’s next expansion, Legion, launches August 30. But today marks the beginning of the in-game events leading up to the release for the long-lived online role-playing game. It’s also your last chance to check out a lot of content that’ll be gone forever once Legion hits. Yes, we know all you want to do today is collect every last equipment style for the new transmog system, enabling all your characters’ armor to look like almost any other piece in-game. And we feel your delight over the prospect of finally having all that inventory space back that the actual armor pieces used to occupy. But priorities, people. You’ve got work to do before Legion lands. GamesBeat has compiled a list of what you need to do to be prepared for the newest chapter in this massively multiplayer online RPG, including items that are going away, launch event goodies you won’t want to miss, and prep work you’ll want to finish before Legion launches. The Brawler’s Guild, Challenge Modes, and the weekly Stranglethorn Fishing Tournament have already left until Legion hits, but you still have much to accomplish. Players who have been around since the end of the last expansion, 2012’s Mists of Pandaria, will remember that end boss Garrosh Hellscream dropped nifty heirloom-class weapons that any of your characters could use, which grew in power as you leveled up. They provided powerful tools for questing, for both main and secondary characters. But when Mists finished, the weapons stopped dropping. Heirloom trinket drops from mythic-difficulty 5-person dungeons have taken their place in the current 2014 Warlords of Draenor expansion. The first one you get on each character is loosely tied to their spec, and subsequent drops are random. But like the weapons from Mists of Pandaria, when the next expansion launches, those drops will be gone. “The scaling trinkets work like Garrosh’s weapons did. 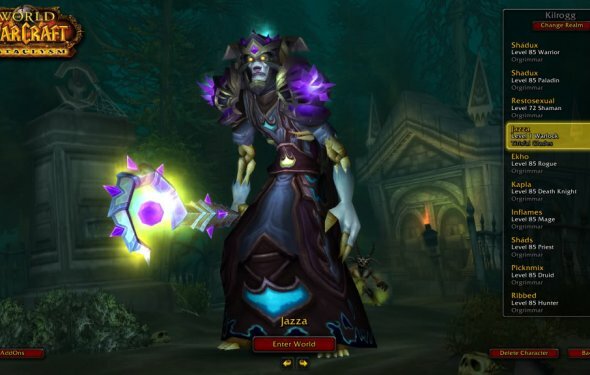 They will continue to be available from Mythic dungeons during the pre-expansion 7.0.3 period, but then will no longer drop once Legion officially launches on August 30, ” lead game designer Ion Hazzikostas confirmed for us. That said, all trinkets from Warlords are being nerfed, so double-check stats on what you’re wearing when you log in. You may find that an heirloom trinket would be better (or worse) than what you have on. 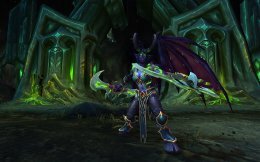 Today’s patch does not include the Broken Shore prelaunch event or the option to make demon hunter characters. Those are waiting a couple of weeks to be sure that the changes to current classes and interfaces are stable, Hazzikostas said. So if you want to make your new demon hunter (Legion’s new class) before the expansion begins, or you want to see the new Broken Shores event, which offers a fairly dramatic lead-in to the events of the new pack, now’s the time to preorder your copy. Unlike other launch events, only those who have purchased Legion will be able to see the new class and event early.